Ah, so you have returned, have you? Very well, let us get to the story in earnest and introduce our protagonist. 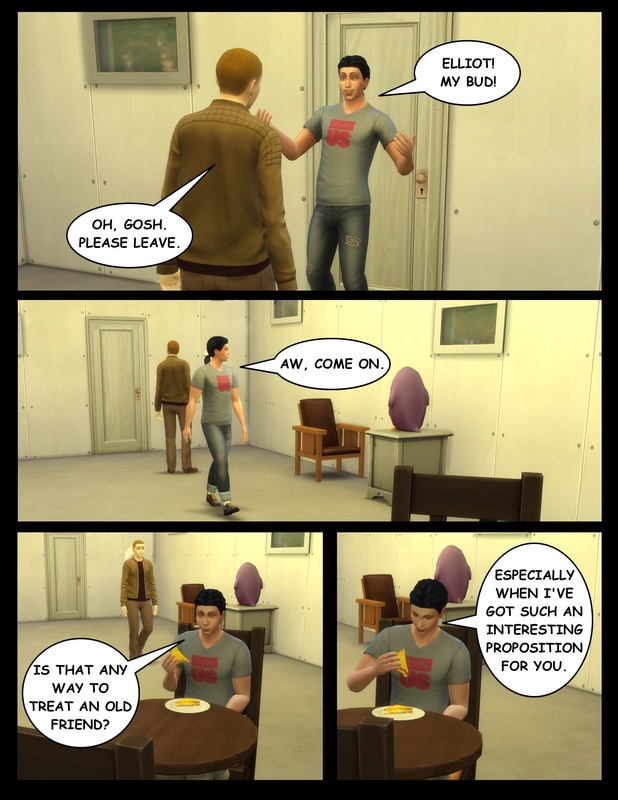 His name is Elliot Marshall, and he is easily recognized by his sole proprietary use of the inner thought speech bubbles. 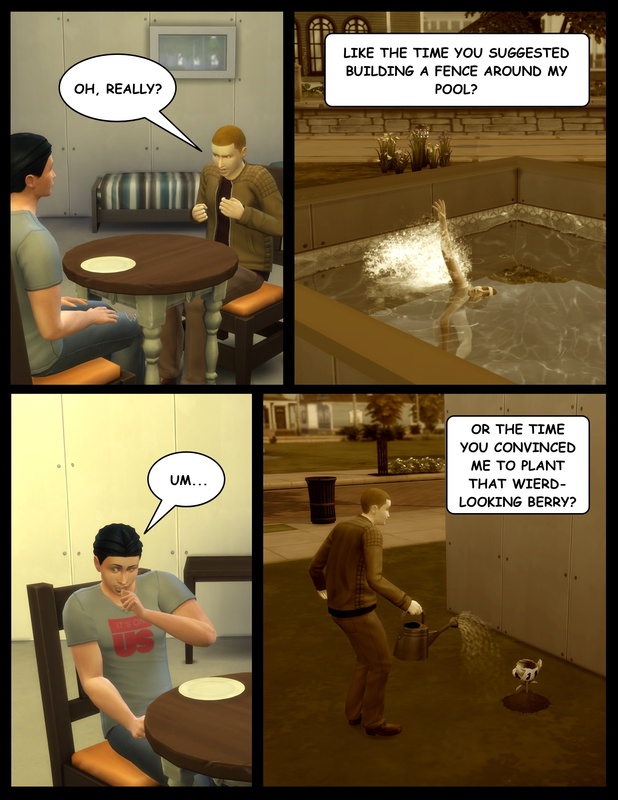 At the start of our story, we find Elliot making full use of said bubbles as his muses to himself about the sheer unfairness of his personal situation. 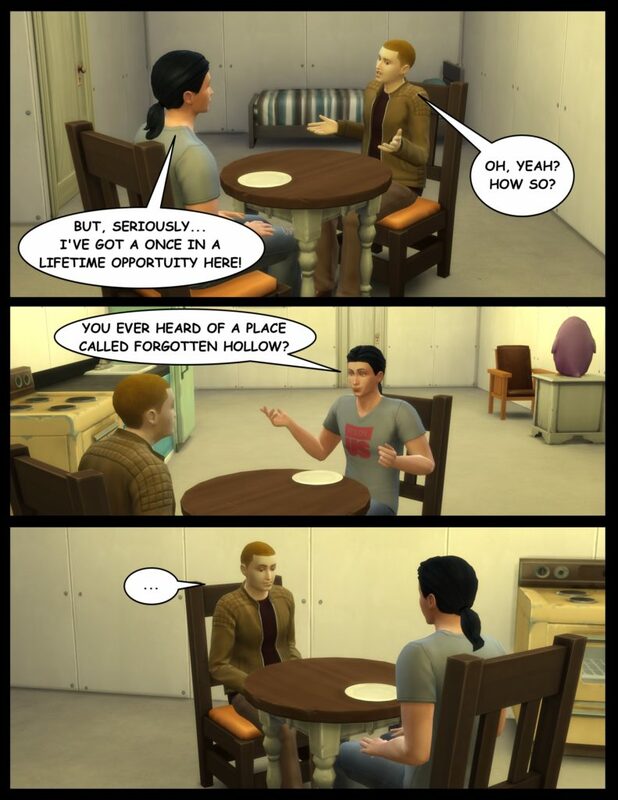 Elliot had not heard of such a place as Forgotten Hollow. But he was also speaking to Kyle, someone he considered to be demonstrably less intelligent than himself. He was not, therefore, about to admit ignorance of anything. 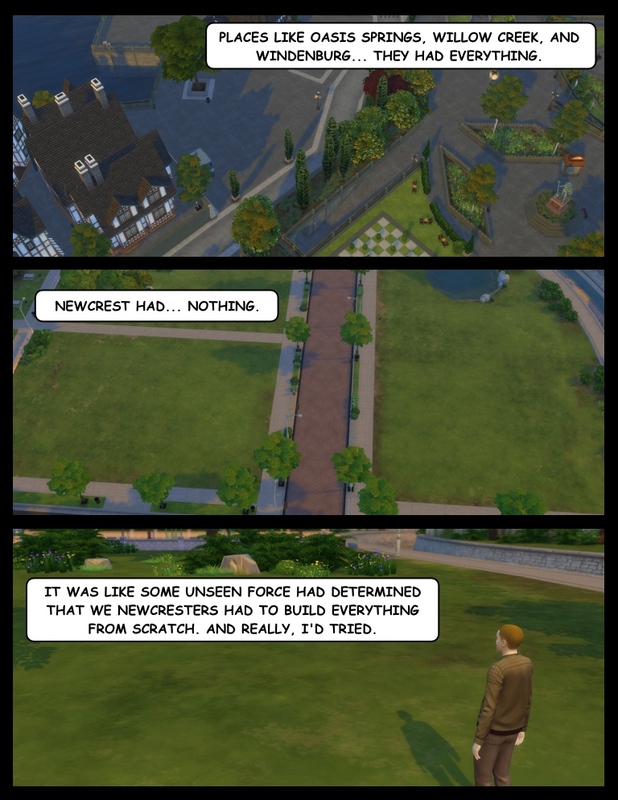 He followed Kyle along a suspiciously dark path he had never noticed in Newcrest before, feigning the whole time to know exactly where he was going. 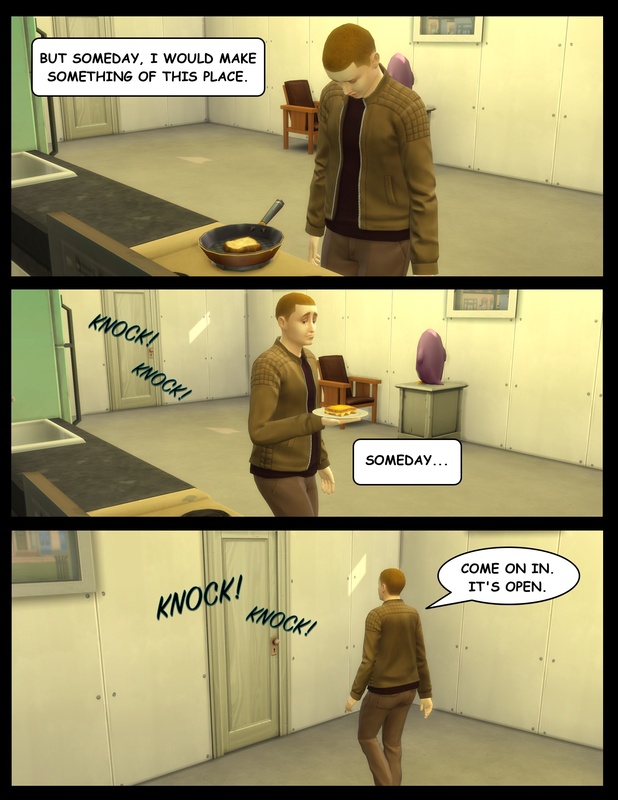 But as the air grew colder around him, his heartbeat rose inexplicably, and he began to ponder if he really should have remained at home with his grilled cheese sandwich. Well, too late to turn back now. It is neither a kind nor a wise thing to go about a master vampire’s home screaming at the top of your lungs. For one, they could have sensitive hearing. 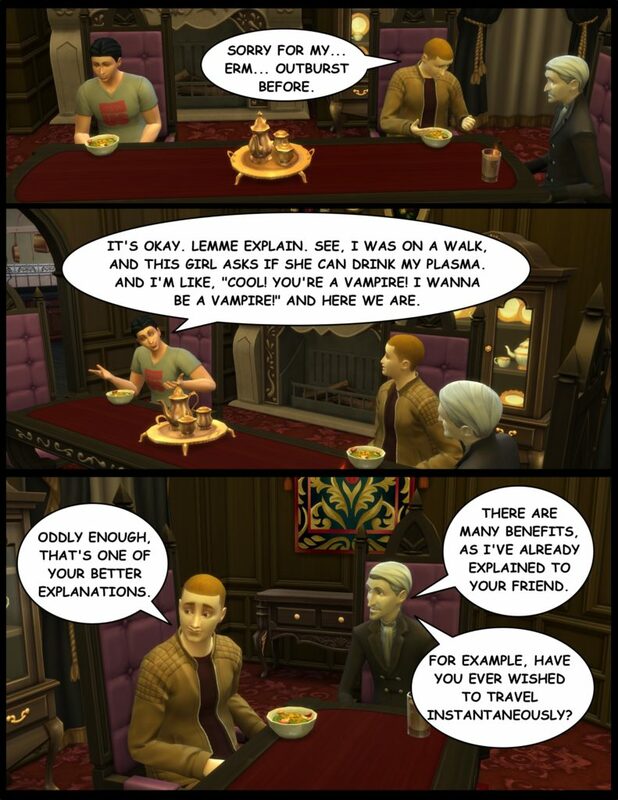 And vampires have a reputation for quickly disposing of that which bothers or annoys them. For another, a good scream may signal to a vampire, who is a natural predator, that you are not something to have a conversation with, but rather a tasty snack. 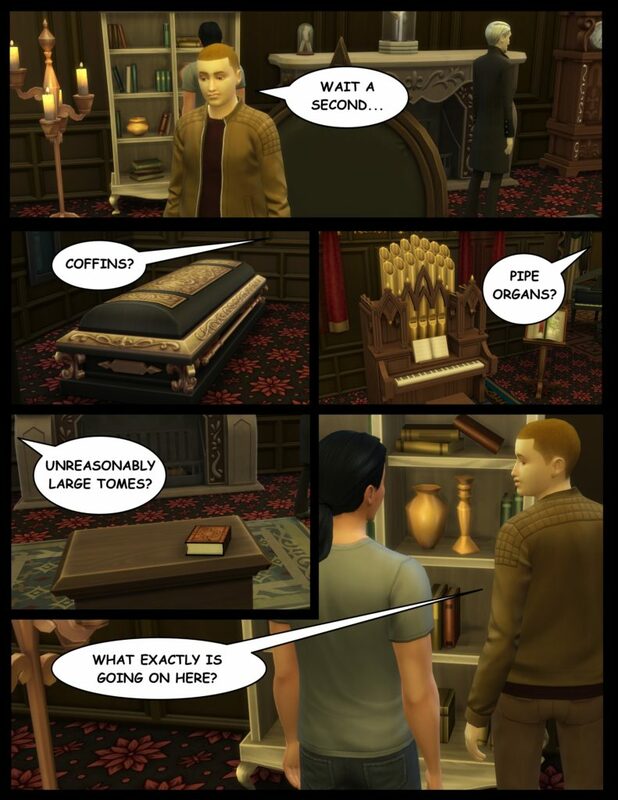 Thankfully, with his years of experience dealing with mortals, Vladislaus was able to put Elliot’s screaming in context and gave him the space and time needed to calm himself. He also informed Elliot that if he did not cease the incessant noise, he would be promptly turned into a plasma pack. Or three. 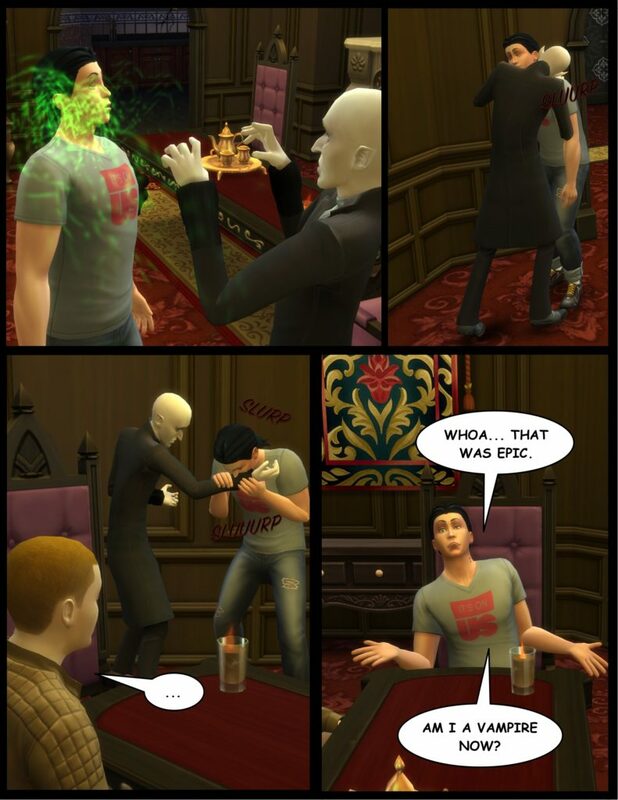 Elliot quickly found his wits after this, and the trio sat at Vlad’s excessively large dining room table, where they enjoyed a late evening meal together. Or least, the mortals did. 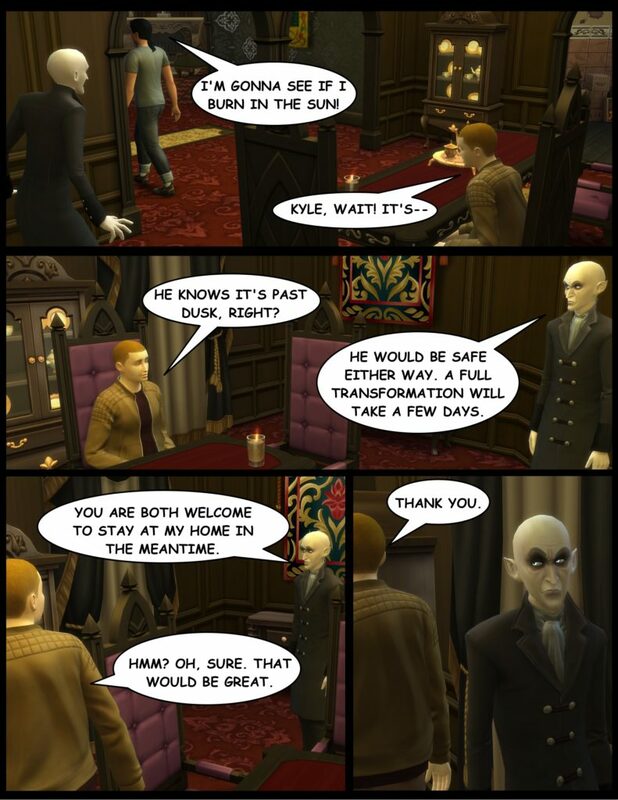 Vladislaus helped himself to a drink from the bar. 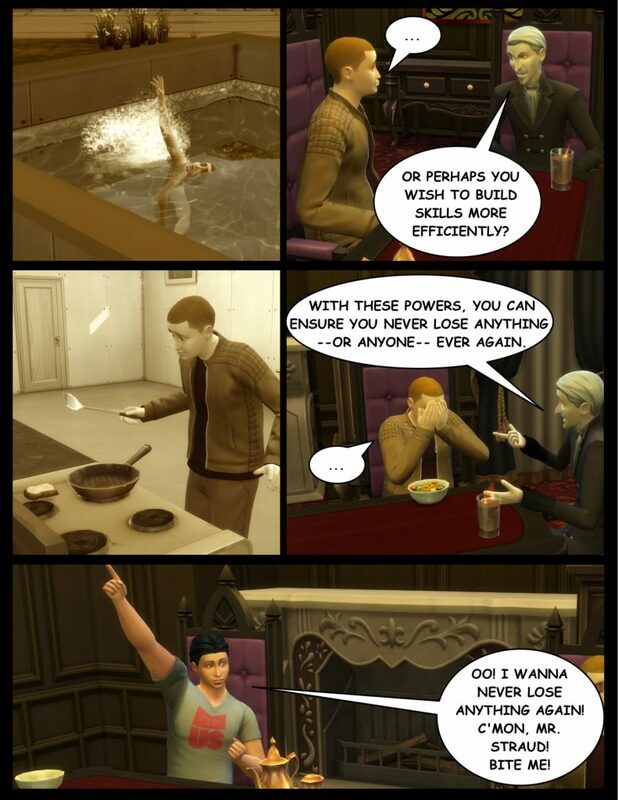 Elliot had to admit, when Vladislaus was not directly threatening his life, he was every bit the gracious host. 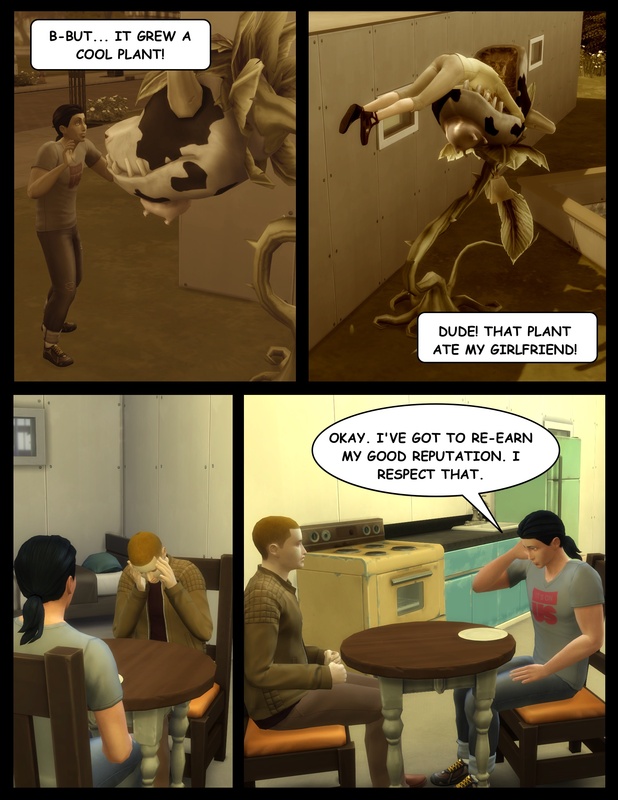 Of course, Elliot lived in a drywall house with a dead cowplant on the smallest lot in Newcrest, so he had not attended many upscale social events to compare this one to. 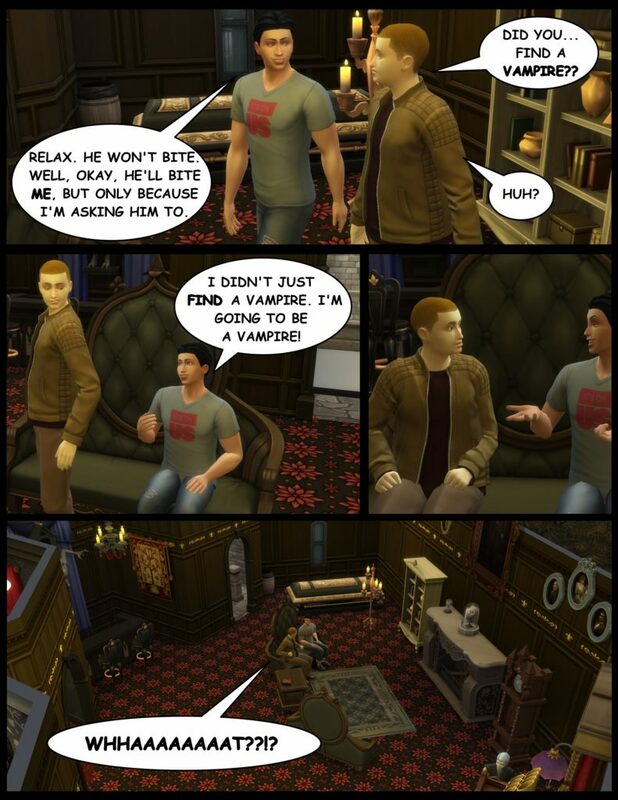 But based on the limited information he had, Vladislaus seemed not evil so much as merely a misunderstood loner. 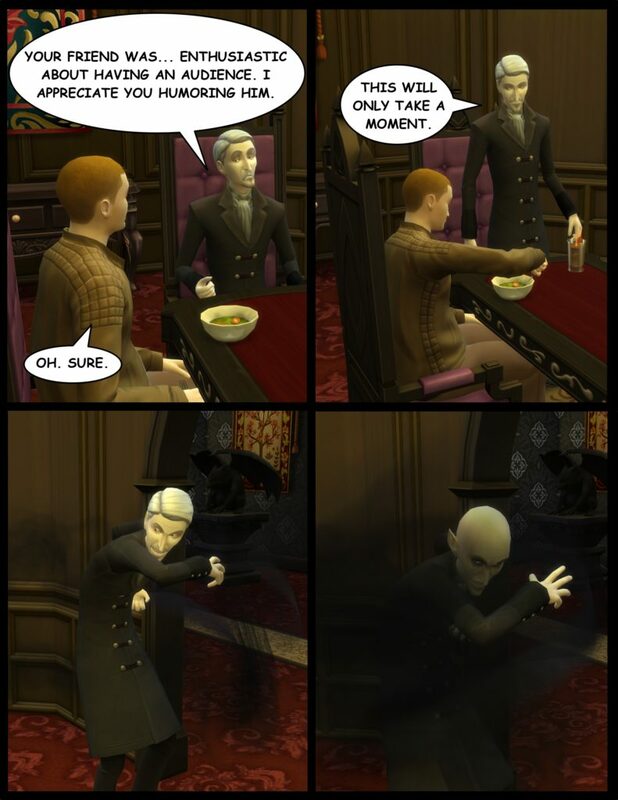 Vladislaus was most careful to keep his maniacal laughter to himself. 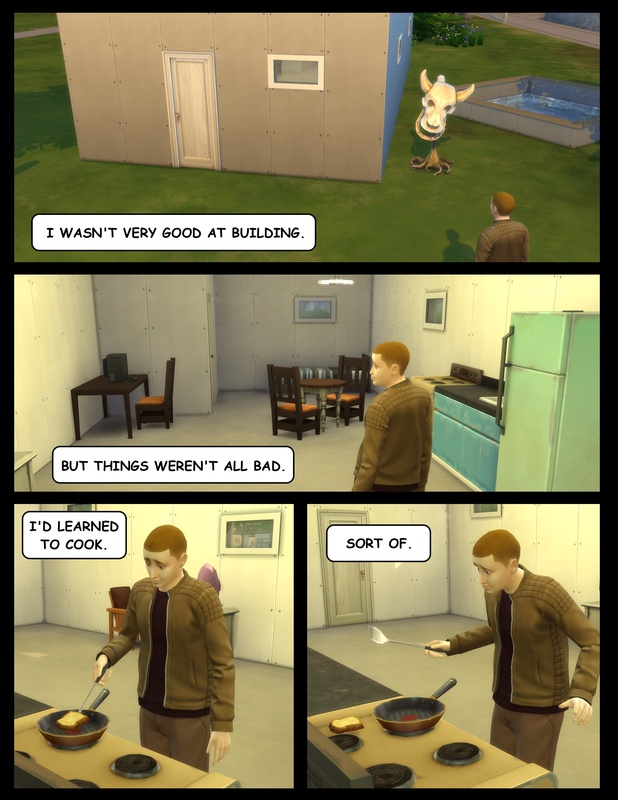 Tags: Clan, Clanbuilding for Dummies, Comics, Sims. Bookmark the permalink.